The AAUW Gateway to Equity Award honors an individual, group or organization that has shown by action and philosophy the promotion of the AAUW mission to advance gender equity for women and girls through research, education, and advocacy. It celebrates International Women’s Day which is held annually on March 8. 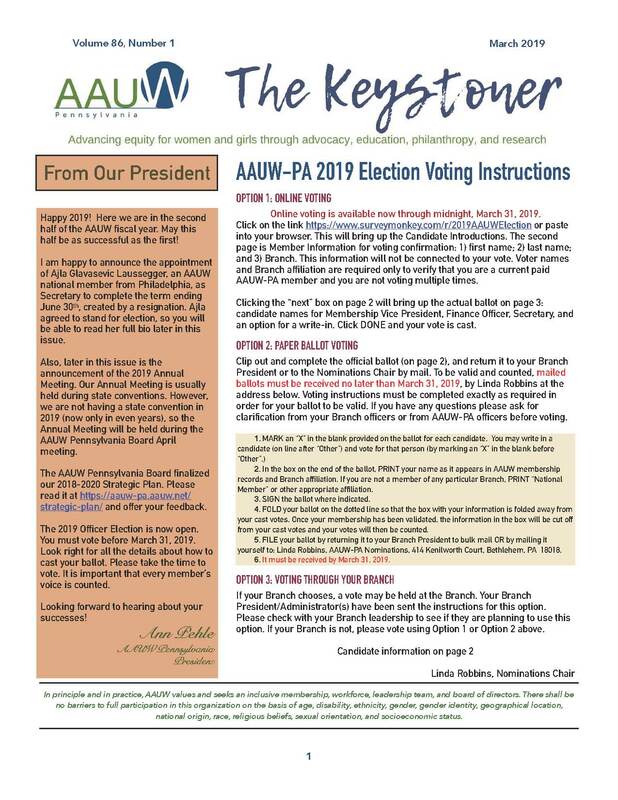 AAUW-PA encourages all branches to participate in this opportunity to recognize an individual, group or organization that shares its commitment to equity and to bring awareness to the work of that individual, group or organization and of AAUW. A Gateway-to-Equity-Toolkit and Gateway-to-Equity-Award-Certificate are available here.